THE STORY OF MY CHANEL BAG! For any fashion lover, there's probably no bigger dream than owning a Chanel handbag. 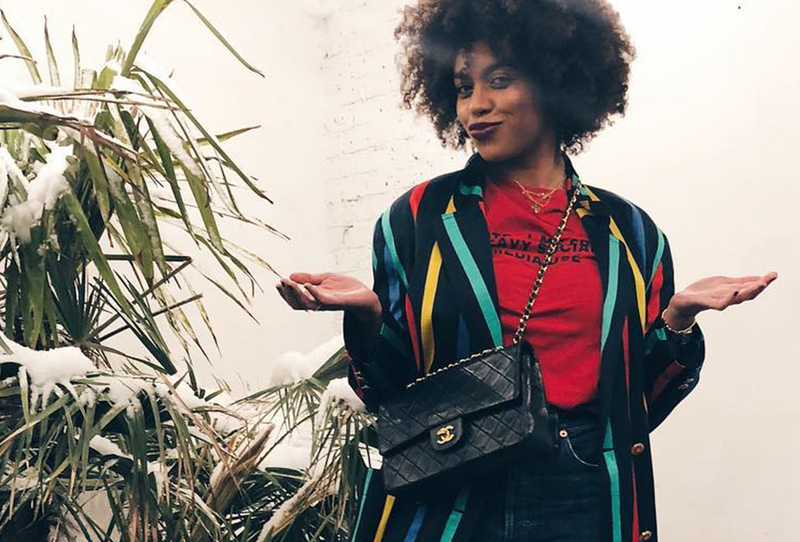 Fashion journalist and influencer Aminata Belli tells her story about finding her first very own, pre-loved Chanel handbag on REBELLE. 1. Why the Chanel Classic Flap Bag? If there was ever a designer bag I wanted to call my own, then it was the classic flap bag. I'm not quite sure why, as I am usually not the biggest fan of the CHANEL brand, but the bag has always had a very special symbolism to me. 2. Was there a special occasion for the purchase? 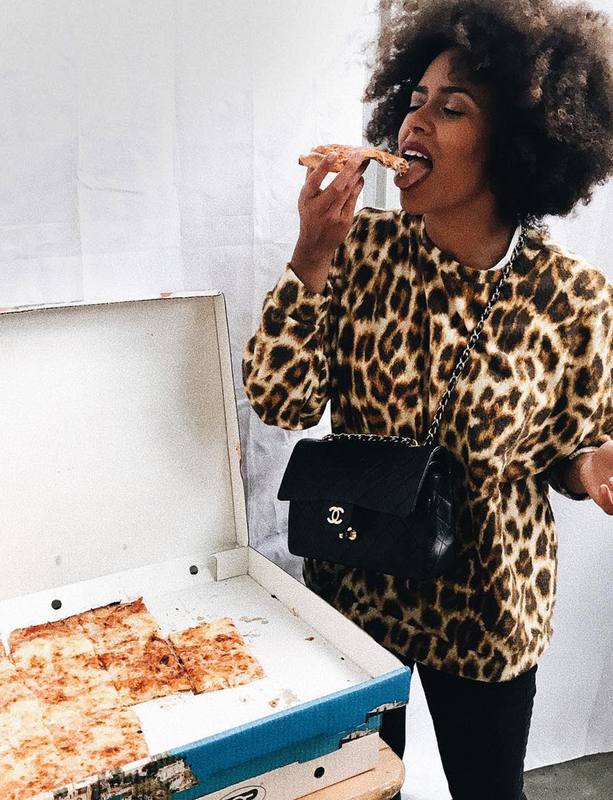 I quit my dream job at a fashion magazine in May 2017 to become self-employed. I decided to treat myself at the end of the year for successfully completing my first big job. I thought if a moment like this would ever happen, it would probably be in my 30's, but I was lucky it already happened in my mid 20's. 3. Why did you buy the handbag through REBELLE? Rebelle is based in Hamburg, so am I. I really appreciate that and support local companies! 4. Is this bag your first vintage treasure? No, I have lot's of vintage pieces. I usually buy clothes and accessories that have already been worn and are pre-loved. 5. How will you style your bag? With a white shirt, jeans and sneakers, together with some gold jewellery. 6. 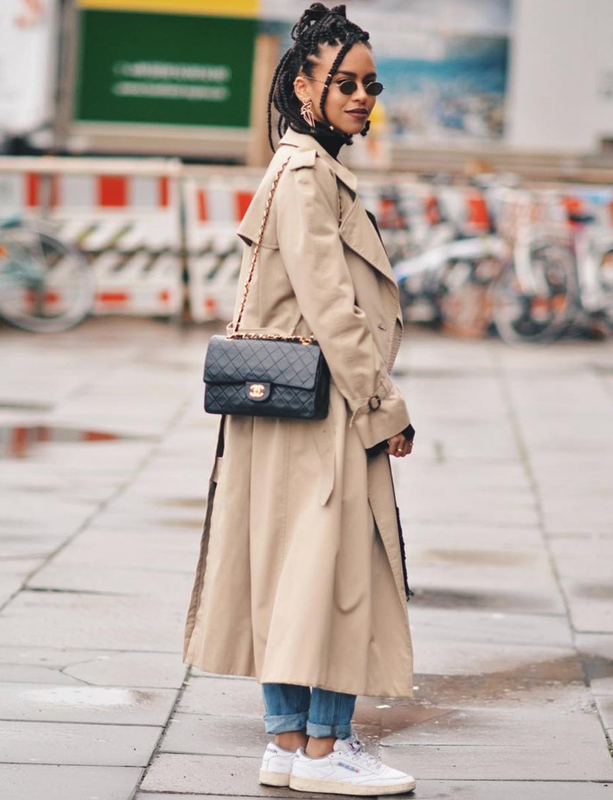 To which occasions do you wear your Chanel bag the most? 7. What goes into your bag? Unfortunately too much, I'm messy when it comes to bags. 8. Coco Chanel designed the Chanel Classic Flap Bag in the 1950s for the modern woman. How would you define a modern woman today? The modern woman does what she wants: she wears, says, eats and buys what she wants and says NO to things she doesn't want. 9. Are there any other classic "It" pieces on your wish list? I am lucky to have all the "It" pieces I ever wanted. 10. Imagine Karl Lagerfeld would call you on the phone. What would you say? "Hi, Mr. Lagerfeld, when will you finally come to your senses?" — This would hopefully lead to an exciting conversation! He probably has a lot to say to a provocative question!